Well, friends, GeekGirlCon’18 has officially drawn to a close. On behalf of the GGC staff, I want to say thank you so, so much to all of you who joined us this past weekend. Thank you to everyone who attended, volunteered, sponsored, supported, and otherwise contributed to making 2018 our best year yet. Thank you for believing in our mission, for finding value in the celebration of geeky girls and women, and for being passionate about the things you love and sharing that passion with us. While the con itself is over, we’re already plotting for next year, and we would love your help! Tell us your thoughts about this year’s con, sign up to be notified about upcoming volunteering events, or even join our staff or board! 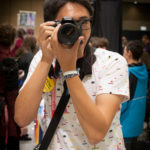 As a 100% volunteer-run nonprofit, GeekGirlCon only exists because of the love and support of our community, and we are always eager to expand our ranks with geeky individuals of all kinds. Source: GeekGirlCon Flickr. 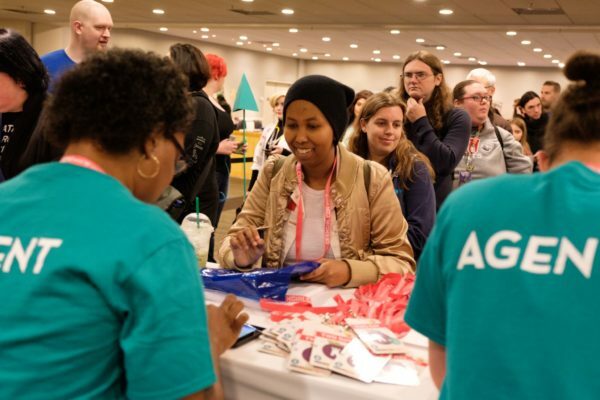 Description: Two agents help GeekGirlCon attendees get their badges and swag bags at GeekGirlCon’17. Don’t have time to volunteer with us? We get it! You might consider donating to our organization (GeekGirlCon is a 501(3)c nonprofit and is eligible for employer matching!) Or you can stay in touch with us through social media on Facebook, Twitter, Tumblr, or Instagram. And if, like me, you’re already missing the experience of GGC’18, don’t worry—you can already buy your tickets for GGC’19! It’s going to be a good year, I can already tell. Source: GGC Facebook. 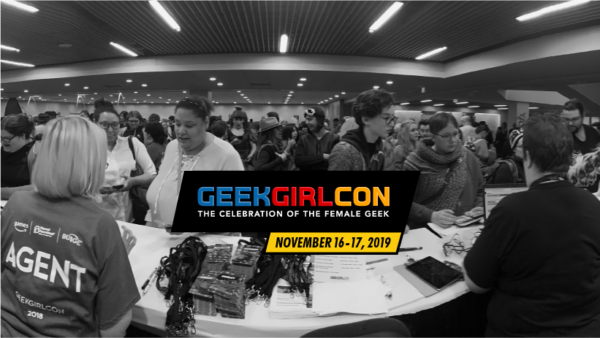 Description; a black-and-white panorama of GGC’18 attendees picking up their con passes with “GeekGirlCon: the Celebration of the Female Geek” and “November 16-17, 2019” superimposed on it.